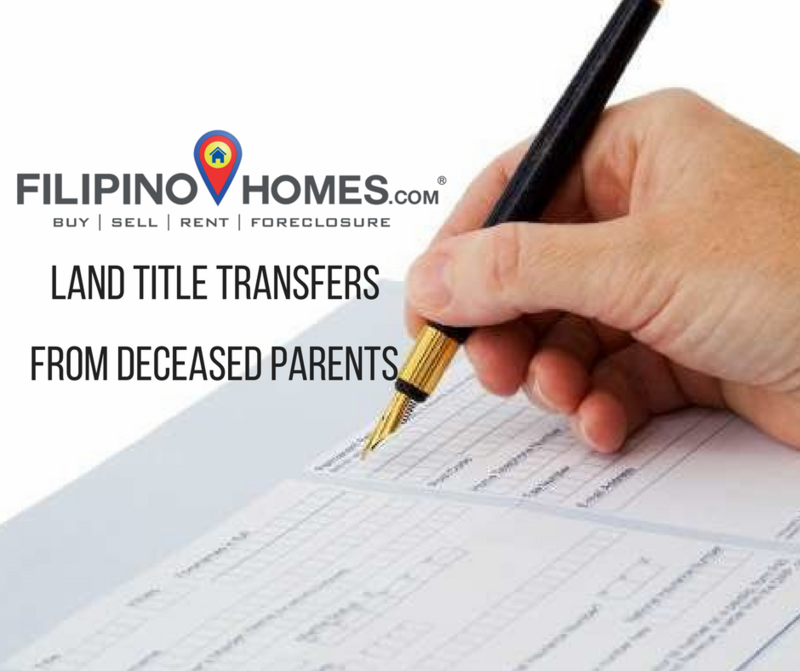 How to transfer a land title from deceased parents in the Philippines? So your parents died and left you one or some properties for you and your siblings. Unless a WILL exist before they passed away, all of the conjugal properties of the parents go to their legitimate child (assuming both parents died). Shares for the illegitimate child or child from either one among the couple outside of marriage isn’t mandatory inclusive, unless, otherwise, a signed and notarized WILL OF TESTAMENT was left for his or her share before their passing or have verified affiliation/linkage to either of the parents. The verified offspring outside marriage with strong affiliation can/may, however, required inheriting half of what a legitimate child receives in line with the law. 1.) Execute a Deed of Extrajudicial Settlement of the Estate from a lawyer. All heirs should enter into an agreement on how to distribute or dispose of the properties (e.g. land). All children will sign the Deed of Extrajudicial Settlement of estate and have it notarized with their lawyer. 2.) Deed of Extrajudicial Settlement of Estate should then be published in a newspaper of general circulation in the City and Province once every week for three consecutive weeks. 3.) Get an Affidavit and Certificate of Publication from the paper and submit all these documents to the Bureau of Internal Revenue (BIR). The BIR will issue a certificate of authorized registation (CAR) for filing at the Land Registration Authority or in the Registry of Deeds for transfer of title. When Should the Members of the Family Transfer the Title of the Properties of the deceased parents? As soon as possible, because even if the real estate tax declarations paid on time, for the transfer of the title to you and your siblings you need to pay for the Estate Tax plus interest at 25% on the tax amount due for late filing and payment and annual interest of 20 %. If you do not do it fast, you get slapped with big penalties. Or worse end up in shock that your estate fees are way too expensive than your inherited properties. Which means the government now owns it and you even would owe the government more than what the market value of your property is. What are the expenses in transferring a Land Title to the Children of deceased parents? A) Estate Tax plus interest (plus 25% on the tax amount due for late filing) and payment of annual interest of 20 %. For further assistance on tax matters, please engage the services of tax practitioner in the Philippines, for professional guidance. What if you file it ten years after your parent’s death? Are there penalties? Yes, and that is Estate Tax (Inheritance tax) plus interest at 25% of the tax amount due for late filing and payment and interest of 20% per annum. So that would be times ten for ten years. What happens if you cannot pay the Estate Tax? If you cannot pay the estate tax, penalties, and interest can add up each year till the whole interest and penalties up to this value can eventually up to zero. That then suggests that, that the govt can/will take over the possession of the property. The government had the choice or chance to auction the aforementioned property in exchange for money as payment for the interests and penalties you owed to the govt. for not paying transfer tax on time. How do we prepare, as a family, to be able to pay for Estate Tax? (3) You already declared them dead in all government agencies. How to obtaining money to assist you to pay the inheritance tax? Either from your own pocket or through the life insurance take of your parents. That’s why having a life insurance is important, most especially if with investment plans. Obtaining insurance with investments helps you build your estate taxes. The more properties and pet ones you have got, the more or, the larger life insurance you must get. 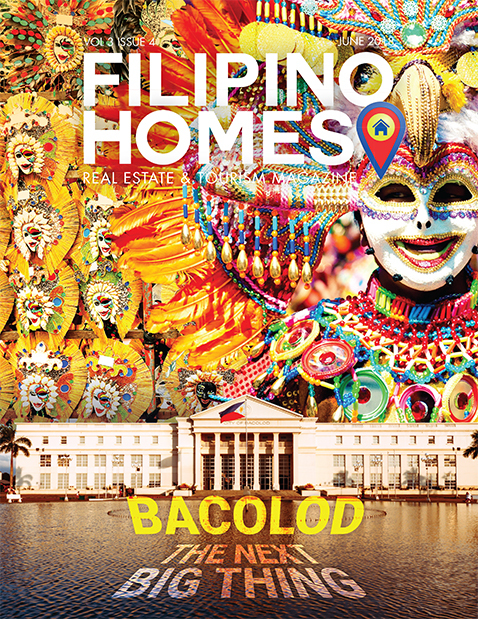 For Estate planning and life insurance inquiries feel free to contact other Filipino Homes Agents or me. What if there are some siblings or children of the deceased parent who was not present in the agreement? All the children (you, your brothers and sisters) must sign the agreement. Even so, some children don’t seem to be inquisitive about inheriting the properties of the parent. They must/can create and sign a waiver declaring that they do not wish to be a part of it. They should file a waiver that they are giving up their right to own a property from their parents. If they do not sign a waiver, it’ll not be processed. What if your brother or sister is already dead and had children? Do they have the right to inherit the property? Yes, the kids of your deceased relative have the right to inherit some of the possession. The property is going to be transferred to the heirs as a whole. The wife/husband of the relative, however, is not included. What if your brother or sister is not willing to sign the agreement? Go to court and let the court call the attention of those who are not cooperating with you. Let the court choose a way to distribute or get rid of the properties in line with the law. Some lawyers would advise, either you ask your siblings to pay you your share, or, you will opt to purchase their share of the property. It’s achievable through extra-judicial agreement, which means you would like to work with a real estate professional for settlement.